Tooth extraction costs: How much to get a tooth pulled? | Details about insurance benefits. Tooth extraction fees - How much does it cost to get a tooth pulled? - Fee estimates for routine (simple), surgical and baby tooth extractions. | Details about insurance coverage and benefits (with example calculations). This page gives price estimates of how much you might pay a general dentist to remove one or more of your teeth (arranged by extraction type: simple, surgical or deciduous tooth). It also provides details about dental insurance coverage for oral surgery. And works through some sample calculations that explain what your expected costs might be, both when insurance is and isn't involved. A) "Simple" tooth extraction - permanent tooth. Range: Low fee = Small rural city / High fee = Large metropolitan area. What is a "simple" extraction? Has erupted (meaning it has substantially penetrated through the gum tissue). Has a relatively normal orientation and positioning in the jawbone. The tooth may or may not have portions missing due to fracture, decay or a lost restoration. The tooth's removal can be accomplished just using instruments that manipulate (elevate and/or grasp) its visible portion. What's included in an extraction's cost? The fee should include the local anesthetic (dental "shots") needed during the procedure and, at its completion, the placement of sutures (stitches) if needed. Additionally, it should include whatever routine aftercare the patient requires for 30 days after their surgery. This would include services such as removing stitches and the treatment of common post-op complications such as dry sockets. The fee does not include the cost of whatever examination and/or x-rays are needed to initially diagnose the tooth's condition. Nor does it include the cost of supplementary services such the use of sedation during the procedure. B) "Surgical" tooth extraction - permanent tooth. What is a "surgical" extraction? Is erupted and has a fairly normal positioning in the jaw. As an example of when this procedure might be needed, a tooth that has broken off at or below the gum line might have to be removed "surgically." C) "Simple" tooth extraction - deciduous tooth (baby tooth). The fee estimate shown here may seem high considering that so many baby teeth are either wiggled out by children or else just fall out on their own. Keep in mind however that the familiar "rootless" state of these teeth is actually their end-stage. For most of a deciduous tooth's existence, it does have a root system and its presence does add to the difficulty of extracting it. X-ray of tooth socket after extraction. Reasons why your dentist's fee may vary. Exactly how much it costs to have your tooth pulled may vary due to circumstances such the following. If your tooth presents challenges that exceed the norm, your dentist may feel that a higher fee is warranted. Making this type of adjustment is not a terribly uncommon in dentistry. If dental coverage is involved, the dentist must typically submit details to the insurance company justifying the increase. There can be times when a dentist may charge less for extractions. Multiple teeth that pose little challenge for the dentist are removed during a single appointment. Since less treatment time has been required, the fee is reduced. With this type of situation, the teeth might be easy to remove due to their small size and simple root form (as is the case with lower incisors). Or due to an existing condition, such as tooth loosening caused by advanced gum disease. Yes, you can expect that most dental plans will provide some level of coverage for routine dental extractions. This procedure is typically categorized as a "basic dental service." As such, it is often covered at a rate of 70 to 80% of the dentist's UCR fee. The patient will likely have had to meet the policy's deductible to receive full benefits. Common policy limitations and restrictions. Classification issues sometimes crop up with "surgical" vs. "simple" extractions. The patient may be charged a "surgical" fee by their dentist but only receive benefits from their insurance company at the "simple" level. The solution is for the dentist to submit additional information that explains why a surgical approach was required. The insurance company will then make a decision as to whether the procedure's circumstances meet their coverage guidelines. Some policies stipulate that an extraction must be "medically" necessary. This term typically includes all of the common reasons why a troublesome tooth would need to be pulled. But, for example, this clause might exclude the removal of asymptomatic wisdom teeth or teeth taken out in preparation for orthodontic treatment. Here are some sample calculations that can help to give you an idea of how much your tooth extraction might end up costing, both when dental insurance is and is not involved. As you know from reading above, the cost for pulling a tooth will vary according to its type (baby vs. permanent) and the level of difficulty of the procedure (simple vs. surgical). For the sake of simplification however, in the calculations below we've arbitrarily set this fee at $150. Total charges by your dentist for your work: $150 X 1 (tooth) = $1000. If insurance is involved: As a "Basic" dental service, it's common for insurance plans to cover 80% of the cost of this procedure, after the policy's deductible has been met. But only up to the amount of its maximum annual benefits. Insurance benefits: [$150 (total charges) - $100 (policy deductible)] X 80% = $40. Note, this number is smaller than the maximum yearly benefit limitation. Amount you pay: $150 (total charges) - $40 (insurance benefits) = $110. Total charges by your dentist for your work: $150 X 2 (teeth) = $300. Insurance benefits: Using the same policy values given above, the calculation for treating two teeth would be [$300 (total charges) - $100 (the policy deductible)] X 80% = $160 (a number smaller than the maximum yearly benefits limit). Amount you pay: $300 (total charges) - $160 (insurance benefits) = $140. Total charges by your dentist for your work: $150 X 3 (teeth) = $450. Insurance benefits: Using the same policy values stated previously, the calculation for extracting three teeth would be [$450 (total charges) - $100 (the policy deductible)] X 80% = $280 (a number smaller than the maximum yearly benefits limit). Amount you pay: $450 (total charges) - $280 (insurance benefits) = $170. Total charges by your dentist for your work: $150 X 4 (teeth) = $600. Insurance benefits: Using the same policy values stated above, the calculation for extracting three teeth would be [$600 (total charges) - $100 (the policy deductible)] X 80% = $400 (a number smaller than the maximum yearly benefits limit). Amount you pay: $600 (total charges) - $400 (insurance benefits) = $200. As you can see from our example calculations above, when it comes to extractions, it takes having several teeth pulled before the problem of exceeding a policy's maximum yearly benefits usually comes into play. Using our hypothetical values above, it would take 9. And while that may seem like a fairly large number of teeth, in cases where dentures are planned this number can be exceeded quite easily. Discuss matters with your dentist. It may be that your treatment plan can be divided up between policy years, so the total amount of benefits you receive can be maximized. For example, when a denture is planned (full or partial), the more the bone immediately surrounding the extraction sites has "cured" (healed) before the final impression for the new prosthesis is taken the better. So possibly having your extractions performed during one policy year and then some weeks or months later your other work performed in the following one could work out to your advantage. Of course, stretching your treatment out like this might be unacceptable (loss of function, poor aesthetics). But there's no reason not to discuss different approaches with your dentist so to see what alternatives might be possible. I went to a Dentist about a yr ago, but started the work for implants but i couldn't pay the bill. Do i have to go back to that same dentist or can i go to another dentist to complete to work? If the implant has been placed but not restored (not yet had the "tooth" portion mounted on top of it), in theory any dentist should be able to complete the work. And also, the new dentist would need to feel comfortable with the work that had already been performed, since the success of their treatment would be predicated upon that. Go back to your previous dentist and man up. Explain your financials and he will work with you. promise to pay him and then run away again. Wow! That was harsh. I had the same thing going on. I ran out of money and had to go to another dentist and didn't go back to the old dentist because I was too ashamed to return. Thank GOD I didn't sign an payment agreement up front. Dental insurance is high and should be looked into for anyone with bad teeth or a history of dental care. what if extractions are more complicated? what if extractions are more complicated due to severe tooth decay or broken teeth? A broken tooth or one with advanced decay doesn't necessarily pose a greater challenge to the dentist. If it does, the procedure might fall under the category "surgical extraction" (see above). Or if extra time or effort is required the dentist might simply charge a higher "simple extraction" fee. In either case, the dentist might have to document for the insurance company involved why the higher fee is justified. I have a tooth that's decaying and I don't know if it needs a simple crown or to be pulled out. Ky only problem is I go into severe panic attacks at the sight of needles near my mouth. What can bi do? You should make a consultation-type appointment with a dentist. One where you are just examined (and x-rayed) and a treatment plan is then developed. 1) They can investigate the tooth you are concerned about and advise you as to what solutions you have (extraction, crown, etc...). 2) You should let them evaluate the remainder of your mouth too. Many dental problems are easily corrected if just discovered early enough. If something is found, possibly its repair can be performed during the same visit as your extraction/crown appointment(s). Sedation can make experiencing the work you need more tolerable. In some cases you take the medicine before leaving your home (someone else drives you to your dentist's office and brings you home). Some sedation medicines have an "amnesic" effect, meaning you don't even really remember much about having an appointment at all. You'll usually find that a dentist bills for the procedures they perform according to a standard set of procedure code numbers (used industry wide in dentistry). So, our "simple" and "surgical" categories above would each have their own unique number, and your dentist would have assigned to them the standard fee they choose to charge for each one. There really isn't a "loose tooth" code number, so you would have to anticipate that your dentist will bill your tooth as a regular "simple" extraction. A dentist can always choose to lower their fee (like in the case of your loose tooth) and some do. But there is no standard "deduction" for that type of consideration. The possibility of making payment arrangements would simply vary office by office. From the dentist's standpoint (especially for someone they don't already know), they might feel that allowing payments places them in the position where there patient's problem has been solved leaving them little motivation to ultimately settle the bill. On the other hand, if the benefits of your insurance coverage would cover a significant portion of the extraction cost, taking that risk in hopes of gaining a new patient (and hopefully providing future work for them) might be worth it to them. Clinics in your area set up to assist persons with lower incomes might be more amenable to a payment arrangement. I met current dentist due to 2 tooth extractions requiring caused by breaking a tooth. I have dental phobia and don’t have a ‘regular’ dentist but went to a local oral surgeon to remove wisdom teeth. During my follow-up, we discussed further treatment. He recommended delaying dentures and keeping my remaining teeth until my situation changed. He prepared an invoice on recommended treatment and expense, went over it carefully and I said I didn’t plan on getting dentures until I had to. Dr. B (current dentist) advised considering implants or dentures. The following week I went in to check extraction site. He explained he had experience and could do it cheaper because he isn't a specialist so he doesn't charge as much. Although we do have dental insurance (paltry), our finances are limited. I am retired and my husband is a teacher. I was impressed with his manner and professionalism and he did a good job on extractions. I decided to go with him for the procedure. He prepared an invoice estimating charges for top and bottom dentures with bottom secured with 2 implants. When I met with him to discuss possible treatment, I said he was more expensive even though he mentioned he is cheaper. His practice is fairly new so he said maybe he needed to adjust prices. Then he said he would match the first dr’s invoice as long as it wasn’t one of the “discount/cheap rate” places. He knew I had reservations about proceeding due to finances. I said I was considering a top denture to get by until we saved more. He said it was up to me but he wouldn't recommended it. My sister-in-law assists an oral surgery and also advised getting both at same time. All three of us agreed that securing the bottom denture would be worth the expense. During my pre-op visit I reminded Dr B that I opted for bottom denture with implants and was there a chance it wouldn't work. He said everything looked fine. He planned on doing implants during oral surgery while I was under general anethesia. I mentioned that the first dentist said if implants wouldn't work due to bone density, then he would recommend a mini implants. He said they are less expensive, less invasive and would make sense for someone my age. Dr. B said he didn’t do mini implants and would not consider it. (I suspect he lacks training) My understanding was that he would do implants during surgery. He told me it would all be done, I’d get denture the next week and return in 6 months for permanent dentures. After surgery I was shocked to find out he didn’t do implants. I was even more surprised that he did bone grafts and set up treatment plan for more bone grafts eventually finishing the process in 8-12 months. I have follow-up apt with him tomorrow and I feel trapped. I am not sure what options I have. I am still ticked about his assurance of getting it all done in less than 3 hours and back in 6 months. Am I obligated to follow his treatment plan even though I didn’t approve it? If dentures aren’t completed would all the same costs exist either way? If I am stuck with full dentures, is it ethical for another oral surgeon to do mini implants? I feel like I went to get my hair trimmed and ended up bald. Now, I don’t know if I can trust him. It makes me sick to think of spending $12,000 when I would have opted for the cheaper treatment if original plans changed. Sorry about the lengthy rant. Just trying to give a clear picture. Any advice appreciated. As far as future dental work goes, it's your option as to what treatment you recieve. You may have a financial obligation for work that's been performed (grafting) but it seems no implants have been placed yet and clearly construction of your final dentures hasn't even been started. If you've lost faith in your current dentist, then you should seek other opinions about how your case might be completed based on your status as it stands now. While the opinion of dentists can certainly vary, possibly there is some question regarding your current provider as to their compentancy in diagnosing your case or pre-treatment communication with you. For example, what degree of the changes in your treatment should have been discovered or anticipated when your treatment plan was originally formulated? Where these issues communicated to you? Was there something deceptive about the way your treatment plan was originally presented to you (bait and switch). Issues such as these are often taken up with a state's Dental Board (the governing body that grants a dentist their license to practice). In regard to this process, we noticed this page from DentalWatch.org. I went to the dentist last week with my doughter for her upper front and lower front baby tooth extraction both are uncomplicated.... they charge me $140/tooth. ..is it fair price or not. .? And treatment takes only 10 minutes. And upper front one was half wiggle but because of adult tooth was already coming from different way we had to go for extraction. ..
A dentist's fee schedule is typically based on ADA procedure codes (the set of procedure code numbers used to file insurance claims). Permanent and baby teeth both fall under the same code number, and therefore removing either would involve the same fee. Separately, there is a code number that applies to the removal baby teeth where some root resorption has taken place but the tooth has not yet fallen out (i.e. the tooth has started to loosen up). The fee associated with this type of extraction can be expected to be less, possibly much so. With either procedure code, a dentist always has the option of charging less if that seems appropriate to them. In dentistry, as much as anything you are paying for "chair time" when a procedure is performed. As in the case where the difficulty of the extraction is unknown and enough appointment time has been set aside to accomodate all difficulties, then we can see how the dentist may need to charge the full regular fee (be it either of the two mentioned above). On the other hand, if the dentist beforehand knew how simple the extractions would be and scheduled them accordingly, then charging the full fee seems unvirtuous on their part. What would be an average cost for taking out the two top wisdom teeth only? Use this link to our page about the cost of wisdom tooth extractions. It costs 300.00 minimum to have 1 tooth extracted. That's robbery. In an insurance case, 96.00. What's the difference between ins and cash. My grandpa allways said pay cash, it was less expensive, he was WRONG. We have a page that can help a person find dental low-income assistance programs in their area. Here's the link. have to have a surgical procedure. extract # 6 perio endo, close to sinus. what cost would I incur? In the USA tooth #6 usually refers to an upper eyetooth. In other parts of the world a number 6 tooth as you describe might refer to a upper first molar. We'd expect sinus concerns would be more likely with the molar. For tooth #6, an eyetooth - If it is relatively intact and the bone around it has been damaged by gum disease, we're a bit surprised that a surgical extraction, even if it's root tip is near the sinus, is needed (this is a single-rooted tooth). But either way, we state a fee for both classes of extractions (simple and surgical) above. For tooth 6, a molar - Once again, the presence of gum disease frequently makes removing a tooth easier. But in the case that there are concerns that make a surgical extraction necessary (it is severely broken down, or as you say there are some special sinus involvement concerns), the same fee ranges we suggest above for both types of procedures still apply. It's not customary for a dentist to charge different amounts for different types of teeth (eyetooth vs. molar for example). In November 2016 I had tooth #20 extracted. However the tooth broke off during extraction. The root remàined and caused no problem until now. My dentist referred me to an oral surgeon to remove the root. What is the estimate to have root surgically removed? 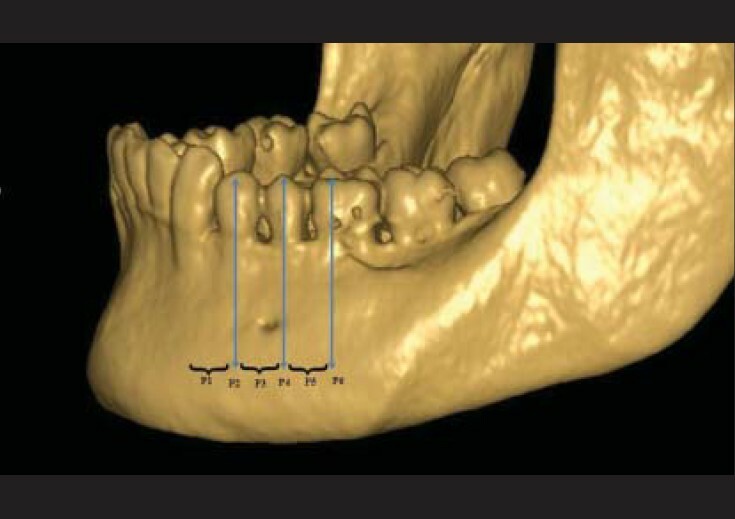 Our best guess would simply be the fee range shown above for a "surgical" extraction. Because there can be a tendency for a root tip to gradually rise to the surface of the jawbone over time, and even possibly penetrate through the gum tissue in some cases, some root tip removals are astoundingly simple. In your case however your dentist evidently feels that the procedure will require an elevated level of skill, hence their referral to an oral surgeon. On the day of your original surgery, you dentist was afraid of damaging the nerve if they tried to retrieve the broken tip. Evidently that is still their concern, hence your referral to an oral surgeon. No doubt you'll be in very good hands. After 8 months of pain on tooth number 31 and 3 different visits for tooth adjustmenst, I had enough and requested to be referred to an endodontic DDs for scans. Upon my visit to the endodontic, he advised a root canal, however while in the chair, was told I had a severe vertical fracture and perio defect and advised a Periodontologist. Question, can my dentist perform the tooth extraction procedure? Does it depend on the skill level and experience of the dentist versus the periodotologist? I have opted for an implant, but need to wait over a week for the periodontologist and my dentist can extract the tooth sooner. I am in a lot of pain and do not want to wait . Please advise. Also, couldn't my dentist have performed a dye test on my tooth sooner, rather than keep adjusting my teeth. I feel like this could of been remedied months ago, had my dentist performed a dye test to look for fractures. Obviously we don't have enough information to make specific comments about your case. In generalities, clearly the endodontist feels that the services of a periodontist are needed. If so, we can envision the following scenarios that could each necessitate the need to wait for their services for the removal of your tooth. 1) Possibly the plan is to place the implant in the fresh extraction site immediately following the tooth's removal. 2) Possibly the plan is to remove the tooth and during that same surgical procedure also do the surgery needed to resolve the periodontal problem. 3) Possibly the plan is to extract the tooth and during that same surgical procedure also augment the bone in the region (do bone grafting) so it's suitable for implant placement later on. The common ground with each of these scenarios is one of combining surgical procedures, so to limit the total number of individual surgeries, and amount of healing time, you need. We'd be unsure that the endodontist made the diagnosis about the severity of the fracture from the die test alone. Beyond just a greater level of experience, we'd expect that they had the advantage of more sophisticated x-ray imaging than a general dentist usually has. Not knowing any specifics about the fracture, that in itself being present doesn't necessarily mean that the tooth will be troublesome to remove. And no doubt every dentist has removed teeth that have a fractured root, not knowing that the crack existed. But as you suggest, whoever does remove the tooth simply needs to feel that they have the skill to do so given the information they have. This needs to be done to allow embedded unexposed #13 to be moved into place. LG, We're not really going to know. 1) Above we discuss the cost of extracting baby teeth (tooth letter C). 2) The procedure needed to expose the permanent bicuspid (number 13) would probably lie on the same level of difficulty as a surgical extraction (mentioned above). Whether or not the dentist would charge for both procedures separately, or else just charge one fee (the surgical extraction fee) for doing the whole procedure, we don't know. My top left back molar either needs a root canal and cap or extracted entirely. I can't really afford to save the tooth so was thinking about extraction because of its location. Without insurance the extraction would cost $480 and with a discount plan it'll cost $240. Both prices seem really high when I look over average prices with and without insurance. The tooth itself is broken but still useable, however it is in severe pain and does need immediate attention. I'm just curious about what may cause it to be a higher than normal price. J.S. we're not really going to know. We'd agree that the $480 fee seems like a lot. It's possible that due to the condition of the tooth or the challenges it poses your dentist feels that the proper classification of the extraction is "surgical" as opposed to "simple," thus justifying a higher fee. Also, the fees we state are our estimate for the extraction procedure itself and don't include any type of sedation services or the cost of the x-rays that are needed (3-D imaging if needed can be costly). Also our page is formulated in terms of a general dentist performing the work, not an oral surgeon. We're not sure how the discount plan ties into your situation, as in did you find it independently or was it offered by the dentist's office. In the latter case, joining tends to tie you to the dentist, yet without comparing fees at other offices you don't really know how discounted they are (potentially making a win-win for the dentist). You don't mention how the other fees presented to you for the other work options compare to the extimates we suggest for them on our pages. Are they substantially higher too? If only the extraction is more expensive then the cost difference probably just has to do with the level of difficulty the dentist expects or bundled (included) services. It's a third party discount plan, but one several dentists in my area use. The other option cost $2100 for the root canal, filling, and crown without the plan or $1049 with. On the estimate they gave me, it does say surgical removal as well as "bone repl/ridge" but that particular part was not explained to me. Is that why it costs more, because of that particular part? The cost of the other procedures you mention are totally in line with the estimates on our pages. In regard to your extraction, right, the dentist considers it more than a "simple" (routine) extraction. There is a fee for the "surgical" removal of your tooth and separately the dentist feels that some type of bone grafting is required to preserve the shape of your jawbone in that area. In regard to the latter procedure, we don't have a page that specifically discusses that. I Googled your phrase "bone repl/ridge" and pages came up that discussed the issue. Best of luck with your procedure. A separate cost for socket irrigation and gel foam after tooth removal which is not covered by dental insurance. We're more than a little surprised that these aren't standard additional services offered as a part of every extraction. We Googled around. Your dentist's cost for the GelFoam they placed should be on the order of no more than about $5 for a routine extraction. Tooth socket irrigation is preferably done with saline solution (body-compatible salt water, possibly $10 a liter, which is far more than one would expect would be used after a routine extraction) and a disposable irrigating syringe ($1?). A dentist should be irrigating all extraction sites to some degree. Not all will use saline. The need for the GelFoam is a judgment call on the dentist's part. You didn't mention if your extraction was a simple or surgical one (definitions given above). With a surgical one, we would have anticipated that these services were definitely just included in the price. For a simple one, while we see the added expense, once again it's a surprise to us that they're not included/sometimes-needed services that the dentist has baked into their overall pricing. Most dental procedures/services have their own insurance code number. We're unfamiliar with any codes specifically for what you describe. (Which could explain why there was no insurance coverage.) For tooth extractions, the formal code description includes words mentioning the removal of the tooth, and the phrase "... and closure, as necessary." The steps you mention are post-extraction activities and part of the extraction site closure process. Should an extrraction be performed when there an infection? Should a tooth that it has an infection be extracted? I don't have pain, only when I put pressure on it ... the tooth (molar) is loose, due to the infection. It's the upper right molar. Since I'm against root canals ... what are my options here, besides trying to control the infection by natural ways, oil pulling, rinsing with salt, and homeopathy? All the "treatments" seem to be working, but slow. My dentist wants to extract my tooth, even with the infection, is that normal? Any tooth that is associated with a persistent infection that can't/won't be resolved should be extracted. Tooth infections are totally unpredictable and can flare up (pain, swelling, etc...) at any time. While the chances are small, the event could be life threatening. Persistent (chronic) infection has the potential to damage the bone surrounding the tooth, and possibly that of adjacent teeth too. Most tooth related infections are either endodontic (inside the tooth, root canal) or periodontic (in the tissues surrounding the tooth, gum disease) in nature. Both require active hands-on treatment to resolve (so to remove the locus of bacteria causing the problem). The remedies you mention may keep the symptoms of the infection to a minimum, but they can't be considered actual cures. Teeth are routinely extracted while infection is present. What dentists don't do is pull teeth during acute phases of infection. Doing so can present complications. I recently went to the dentist to get a molar removed and I wasn't freezing properly, after over an hour of trying to remove my molar I couldn't take the pain anymore so we stopped. My dentist told me to go to a specialist so I can be sedated and have my tooth removed. Is there another way that I can have the tooth removed without sedation? 1) Local anesthetic only (dental shots/injections). (The method that your dentist has tried). 2) Local anesthetic + sedation. The use of sedation typically has to do with patient management (making the procedure more tolerable for the patient), the tooth is numbed up in normal fasion. We have a page that discusses dental consious sedation. So the purpose of the referral would be the question. Does your dentist think that an oral surgeon (who is used to working with difficult situations) will be able to more effectively numb up your tooth using local anesthetic? Or do they think that sedation is needed from the standpoint of managing some aspect of your experience so the procedure can be completed. Or do they think that the use of general anesthesia is indicated (this is the rare case).